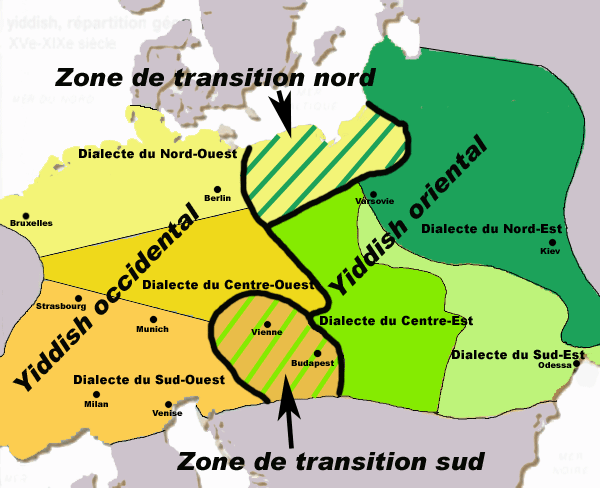 My previous post considered a number of proposals for various ethnic territories to either leave or join the Russian Federation that have emerged in the wake of the Crimean referendum. The most likely next candidate to join Russia is Transnistria, a narrow strip of land between the River Dniester in the west and the eastern Moldovan border with Ukraine in the east. Pridnestrovian Moldavian Republic, as it calls itself, is not recognized by any United Nations member state and is designated by the Republic of Moldova—to which it belongs according to the international consensus—as the Transnistria Autonomous Territorial Unit with Special Legal Status. The history of the secession movement in Transnistria goes back to the dissolution of the Soviet Union, at which point the region declared itself independent. Such a declaration of sovereignty was in part a response to the resurgence of the pro-Romanian nationalism among ethnic Moldovans that was marked by calls for minority populations, particularly the Slavs (mainly Russians and Ukrainians) and the Turkic-speaking Gagauz, to leave or be expelled from Moldova. 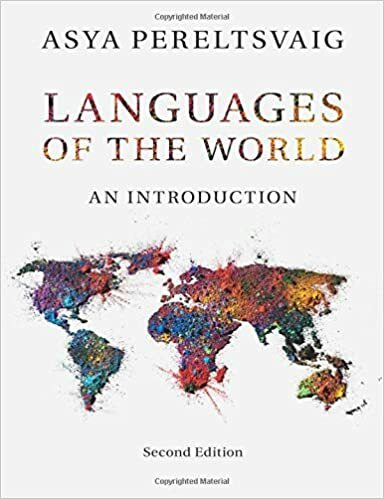 In August 1989, the Supreme Soviet of the Moldavian Soviet Socialist Republic adopted Moldovan as the only official language, with Russian retained only for secondary purposes, returned Moldovan from Cyrillic to the Latin alphabet, and declared a shared Moldovan-Romanian linguistic identity. In response, the Yedinstvo (Unity) Movement, established by the Slavic population of Moldova, pressed for equal status for Russian and Moldovan. After the nationalist Popular Front won the first free parliamentary elections in the Moldavian SSR in the spring of 1990, the Pridnestrovian Moldavian Soviet Socialist Republic was proclaimed as a Soviet republic by an ad hoc assembly, the Second Congress of the Peoples’ Representatives of Transnistria. Violence escalated when in October of the same year the Popular Front called for volunteers to form armed militias to stop a Gagauz autonomy referendum. In response, volunteer militias were formed in Transnistria. While ethnic violence continued to foment, the Moldovan police did little to restore order. In order to prevent further escalation, Soviet President Mikhail Gorbachev declared the Transnistria proclamation to be without legal basis, annulling it by presidential decree in December 1990. But the situation on the ground was getting out of Moscow’s control. 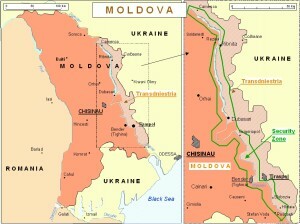 Armed clashes broke out between Transnistrian separatists and Moldova as early as November 1990, and continued till the spring of 1992. 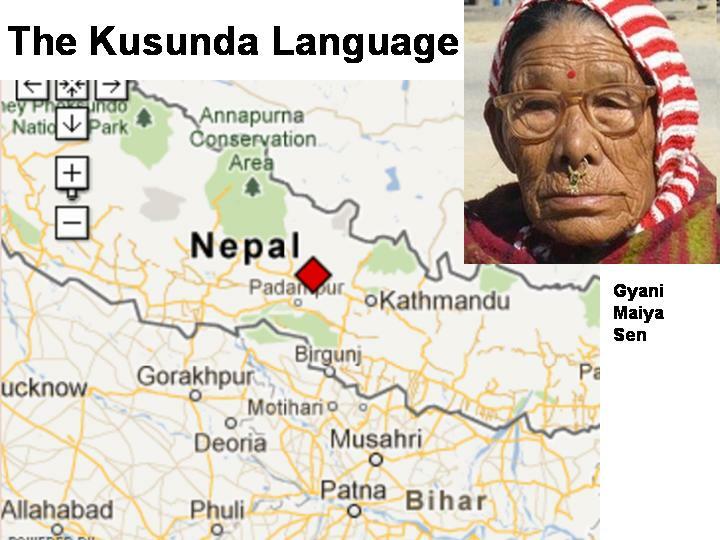 A ceasefire agreement was finally signed in July 1992, which has held to the present day. Since 1992, Russia has maintained a 1,200-strong military contingent in Transnistria, although its legal status is disputed. A NATO resolution from November 2008 urged Russia to withdraw its military presence from Transnistria, and in 2011, U.S. Senator John McCain said in a visit to Moldova that Moscow is violating the territorial integrity of the republic. Since the Crimean referendum, pro-Russian politicians and activists in Transnistria have asked the Russian parliament to draft a law that would allow their territory to join Russia. Even if the Russian authorities were to adopt such a law, however, Transnistria’s accession to the Russian Federation would be a challenging proposition, to say the least. For one thing, according to the 2004 census conducted in the breakaway territory, the majority of Transnistria’s 555,000-strong population is not Russian. As can be seen from the Wikipedia chart, reproduced on the left, Transnistria as a whole has three large ethnic groups of nearly equal size: Moldavians (Romanians) constitute 36.5% of the region’s population, Ukrainians 30.4%, and Russians only 25.5%. While the ethnic Russian population in the region doubled during the Soviet period, it has remained relatively stable since the dissolution of the USSR. Besides Moldovans, Ukrainians, and Russians, smaller ethnic groups in the breakaway region include some 14,000 Bulgarians (2.5% of the total population), 4,000 Gagauz (0.74%), 500 Roma (0.09%), 1,300 Jews (0.23%), and 1,800 Poles (0.32%). The Russians constitute the third largest ethnic group not only in Transnistria as a whole, but in most of its constituent districts as well: 24.07% in Slobozia, 19.03% in Dubăsari, 17.22% in Râbniţa, 15.28% in Grigoriopol, and 6.89% in Camenca. The only exception is the municipality of Tiraspol, the largest city in Transnistria and the second largest city in Moldova. Of its 135,000 residents, Russians constitute slightly over 40%, making them the largest ethnic group. About one in three residents in Tiraspol is a Ukrainian, and some 15% are Moldovans. Thus, unlike in Crimea, where ethnic Russians constitute approximately 60% of the population, Transnistria cannot be claimed as “Russian territory” based on an ethnic Russian majority. Moreover, claims that ethnic Russians need protection in Transnistria could be countered by similar claims of vulnerability from the other ethnic groups. 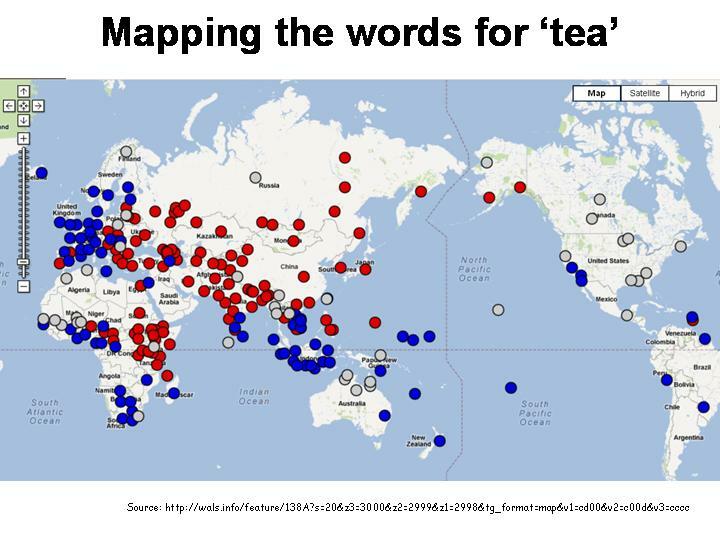 Another significant problem involves borders and transportation connections. 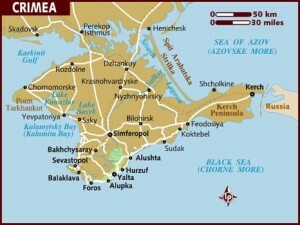 Crimea is connected by a narrow strip of land to the mainland, which is currently still under Ukrainian control. 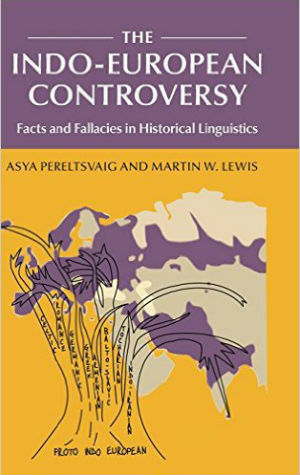 However, southern Ukraine is often claimed to be a “Russian-speaking territory”; similarly to the situation in Belarus, most of its people are ethnic Ukrainians whose mother tongue is Ukrainian, but who use Russian as their dominant language. The Eastern Ukrainian regions, on the other hand, particularly Donetsk, Luhansk, and Kharkiv, are dominated by ethnic Russians. Here anti-Ukrainian sentiments have been recently fomented to the point of public book burnings. If Russia were to annex or impose some sort of military or de-facto political control on eastern Ukraine, the problematic peninsula would be much closer to the new Russian border. 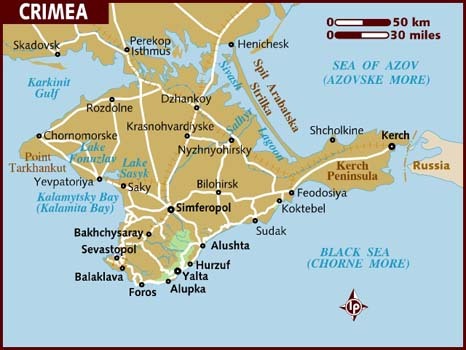 In addition, Crimea is separated from the mainland Russian territory merely by the narrow Kerch Strait, as can be seen from the map on the left. Projects to span this gap with some sort of bridge, for either automobiles or railway, have been discussed for a long time and have been green lighted in recent weeks. The situation in Transnistria is completely different from that of Crimea: it is sandwiched between Moldova in the west and Ukraine in the east, and the only ways to reach Russia involve accessing the territory of either of these two neighbors. The shortest on-land routes, both of roads and railroads, between Transnistria and Russia cross the territory of Ukraine. Currently, travelers to and from Transnistria use two international trains, the year-round Moscow-Chişinău, which runs between Russian and Moldovan capitals, and the seasonal Saratov-Varna, which runs from the Volga heartland of Russia to a Bulgarian seaside resort. These passenger rail services have on occasion been interrupted by political tensions, and it is not clear if they will continue running freely if (or when) Transnistria becomes part of the Russian Federation. Similarly volatile is the situation regarding freight traffic: as discussed in a GeoCurrents post, it had been suspended for six years, owing largely to the unsettled dispute between Transnistria and Moldova, and finally resumed in May 2012. International air travelers rely on the airport in Chişinău in Moldova or the airport in Odessa, in southwestern Ukraine. The domestic airport in Tiraspol is, according to the Wikipedia, “not operational”, nor are the airports in Tighina (Bender) and Camenca. In fact, from the information available, there does not appear to be a single operational airport in Transnistria. Yet Ukraine’s relationship with Russia is already strained, and if Transnistria is allowed to join Russia, its relationship with Moldova is bound to be soured even further. 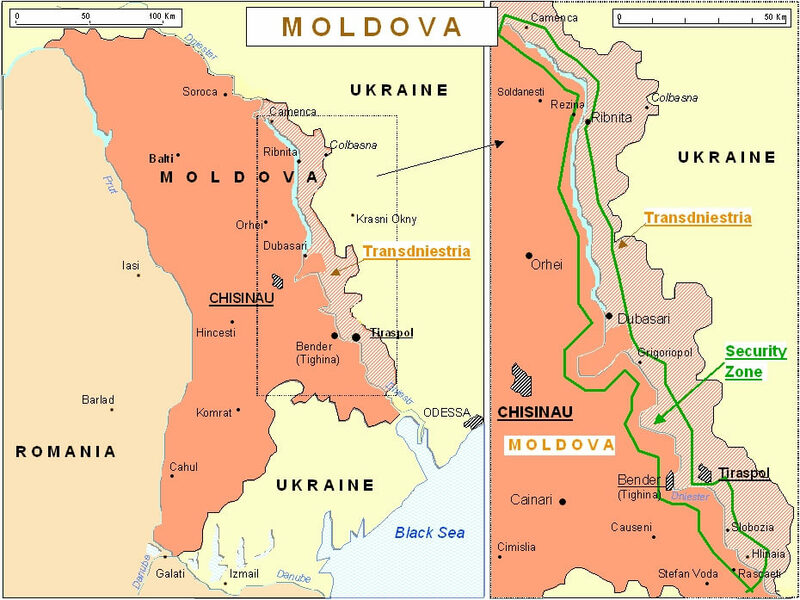 Neither Ukraine nor Moldova is likely to allow for a free transportation for either passengers or freight, potentially cutting Transnistria off from Russia. But Transnistria has also been called “the most lawless place in Europe” widely regarded as a center of human trafficking, the arms trade, contraband, and drug transshipments. Because of all these problems, it is not clear whether admitting Transnistria into the Russian Federation is worth the geopolitical problems that such a step is bound to cause.